Coodes Solicitors Family lawyer Karen Pritchard explains the steps divorcing couples must take to sever their financial ties. Because the divorce process is complex, it is often misunderstood. One of the most common misconceptions that we come across is that the final stage of the divorce – the Decree Absolute – severs all financial ties between a married couple. In fact, many people do not realise this is not the case until they find themselves facing a financial claim from a former spouse, sometimes decades after their divorce. The Decree Absolute confirms you are no longer married, but it does not deal with any financial ties between you and your former spouse. To achieve a clean break of your assets and debts, you will need to a court order. If you are able to agree the terms of your financial settlement there are two different types of court order, depending on your situation. Designed for couples with no assets, the first dismisses any future claims from either party. The second, which focuses on splitting your current assets, including property and savings, as well as your debts, is an Order by Consent. Either court order is made by a judge during the divorce proceedings. When should we start working out how to split our assets? We advise our clients to start working out how they want to split their finances as soon as possible. 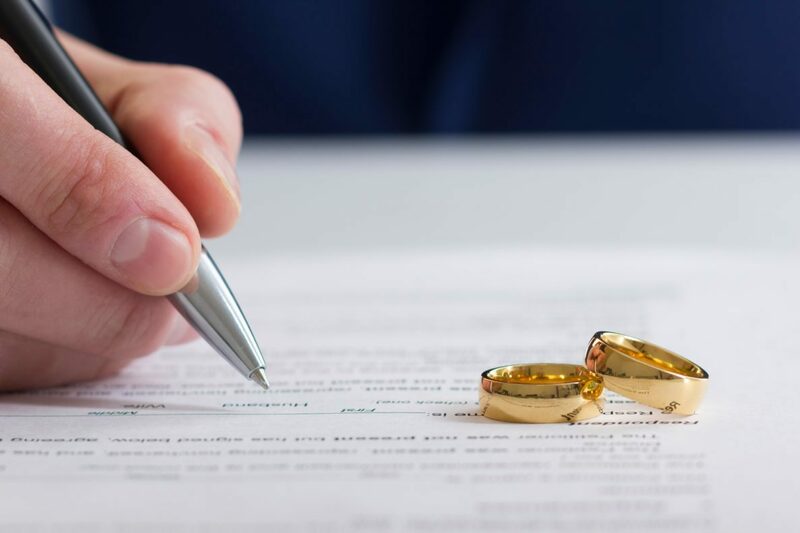 We would generally discuss finances at the first meeting and aim for the relevant forms to be submitted to the courts by the time the divorce has reached the Decree Nisi, the midway point of the process, aiming to have everything is in place by Decree Absolute. This really helps to give both parties peace of mind that everything has been resolved by the time the divorce goes through, However, if for any reason that is not possible, a court order can be arranged at a later date. In most marriages, the most valuable asset is the property. The absence of a court order can create particular issues around dealing with the property in future. For example, if the house remains in both names, the person who stays in the house will need his or her former spouse’s signature to sell the property. There are also risks that you could face a claim, particularly if the property increases in value in the future. Many couples feel they do not need a court order because they don’t have any shared assets. However, this does not take into account with could happen in the future. For example, one of you may experience a windfall, perhaps as the result of an inheritance. If you have not put a court order in place then your former husband or wife could make a claim for their share. We often meet couples who say they are happy to simply agree how to split their assets without a court order. This is also dangerous. Going through a divorce is a highly emotional time and your former spouse may feel they were not in the right place emotionally to make a strong case for their share in your joint assets. Further down the line, they might feel they missed out and may then want to fight for what they see as their entitlement. Having a court order in place avoids either of these situations, effectively future proofing your divorce. Perhaps the most high profile case that illustrates the dangers of not having a court order in place alongside your divorce is that of Wyatt v Vince (2016). Kathleen Wyatt brought a claim against her former husband Dale Vince, 19 years after their relationship ended. The couple had no assets when they divorced, following a marriage lasting under three years, but Mr Vince went on to build a multi-million pound wind farm business. A long-running court battle, which was well documented in the national press, resulted in Ms Wyatt being awarded a lump sum of £300,000 plus costs of £325,000. Had the former couple had a court order in place then Ms Wyatt would not have been entitled to a penny of Mr Vince’s fortune. This issue illustrates the importance of instructing an experienced solicitor to guide you through the divorce process, rather than trying to go it alone with a DIY divorce. Find out more about the five stages of a divorce here.